Hoyle, Tanner is pleased to announce that Nichole Davis, Marketing Specialist, has been selected as a Greater Manchester Chamber of Commerce Ambassador. As a Chamber Ambassador, she will provide member support and information regarding the utilization of the Chamber’s services and resources to best serve Manchester’s business needs. 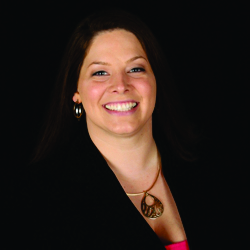 Her other responsibilities will include welcoming new members, reaching out to current members for Chamber programs feedback, and assisting in staffing monthly events. An Ambassador position is much-needed in Greater Manchester due to the continual evolvement of business in and around the City, explained Ronnie Schlender, a sales executive at NH Business Review. According to Ronnie, quite a bit of activity in the Manchester area has sparked numerous job opportunities and boosted the economy. Both Ronnie and Nichole agree that Manchester is an optimal location for business development. When asked if Manchester is a good place to start a career, Ronnie enthusiastically responded with, “Absolutely!” Ronnie sees a lot of opportunities for young professionals in the Manchester area. “Businesses will be able to flourish in this area,” Nichole explains as she reflects upon the steadily growing economy. “With so many businesses in close proximity, many people and businesses have opportunities to collaborate and grow.” She appreciates the diversity in Manchester and the community’s willingness to come together to make a difference. Nichole states, “Manchester is a great place for business!” Hoyle, Tanner is proud of her accomplishments and looks forward to seeing the continual development of Manchester commerce in the years to follow.